A Scythe weilding farmer, not exactly scary.. and what’s happening in his pouch!? As interest in the Scythes as a Chapter grows, particularly with great patronage by Black Library and several gifted modellers, a need to pin down iconography appears. Alongside Andrew Taylor, we created a comprehensive guide to the history of the Scythes. A somewhat fractured and hearsay background we discovered many years ago. But now we are faced with a rapidly expanding lore that is well documented on Lexicanium online, of which one author I know, L J Goulding, uses regularly. This is all well and good, however something that is occurring of late, is the misidentification and usage of Scythes and Falces (plural. Falx, said Fal-sies, like onesies or hobbitsies) by our beloved Astartes Chapter. So when is a Falx a Scythe? In short, never. 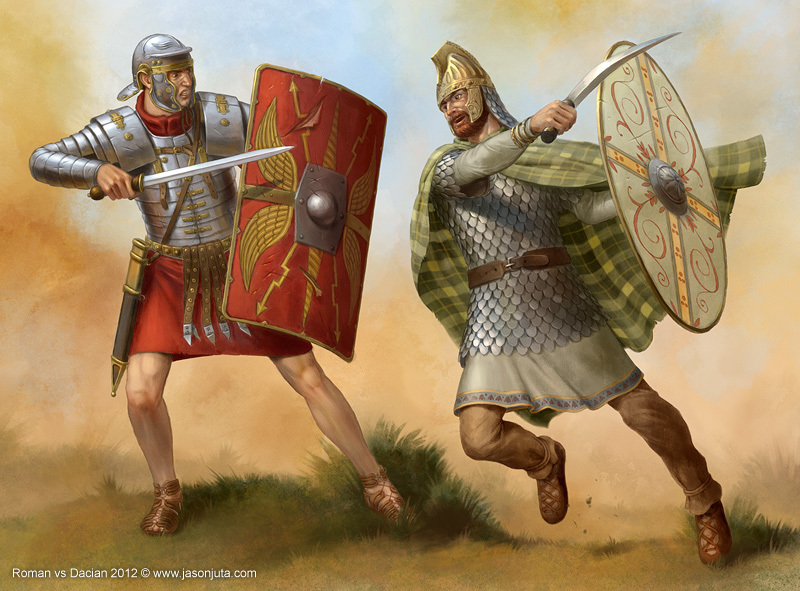 It is more that a Falx is a latin term for Scythe styled weapons (convex cutting edge), but gained fame when attributed to the weapons used by Dacians. 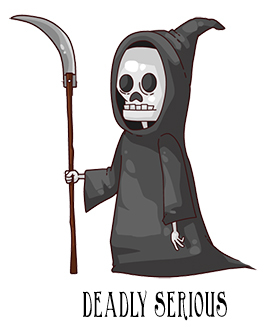 To be blunt, a Scythe in it’s iconic form (as per chapter emblem) is terribly impractical for combat. Looks good on Death when reaping souls, but if he got in a fight with a particularly lively and capable geriatric, he’s going to lose. 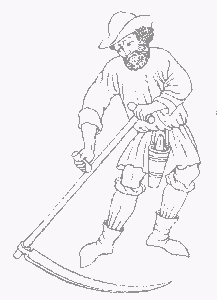 A war scythe is an improvised pole weapon, usually created from farming scythes. 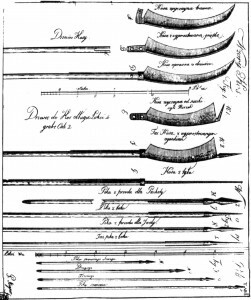 The blade is rotated so as to extend upright from the pole, forming an infantry weapon more practical both in offensive actions against enemy infantry and as a defensive measure against enemy cavalry. In short, it mimics a Halberd. Okay, a wicked variation on the Halberd? Things are looking up! Scientifically accurate curvy weapons and pointy sticks comparison. In history it appears the Polish were great believers in it’s use. It also was often an emblematic weapon of Revolution by agriculturalists. 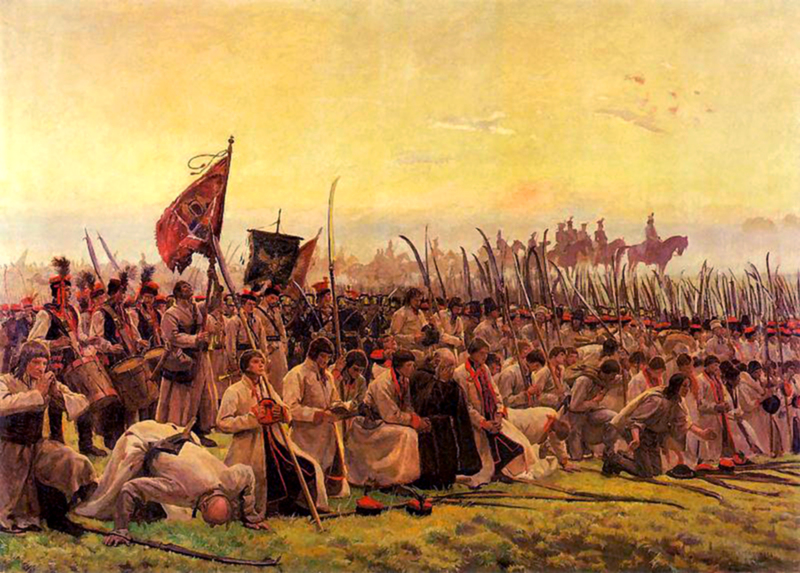 In one example, during the 1685 battle of Sedgemoor, a 5000 strong peasant unit armed with war scythes was fielded. As a pole weapon, the war scythe is characterised by long range and powerful force (due to leverage): there are documented instances where a scythe cut through a metal helmet. They could be used, depending on construction and tactics, to make slashing or stabbing attacks, and with their uncommon appearance and considerable strength could have a psychological impact on an unprepared enemy. However, like most pole weapons, their disadvantages were weight (which could quickly exhaust the user) and slow speed. So then.. what is a Falx? Falx was also used to mean a weapon – particularly that of the Thracians and Dacians – and, later, a siege hook used by the Romans themselves. 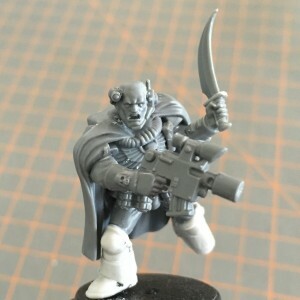 One of the Sothan scouts I put together uses a small combat knifed styled as a falx, however in researching this article, it would be better called a Sica or, Sickle. Then again, that’s pretty big. Hello Falx! A Falx – Sword weapon designed from the beginning to have an inner cutting edge. This can be two handed also. A Sica – Short blade with curved inner edge blade. Ultimately, enjoy your modelling, as you please. This article is more about informing your choices between ‘Cool Factor’ and ‘I’m going to cut you in half with Science’. I’d like to thank contributors to Wikipedia and other weapon resources for the information gleaned in creating this article. Nice to see so much thought and love going into an army/project, I can really appreciate that. …although we do also have guys with power scythes as well, but I’ve tried to keep them as ceremonial weapons in the fiction. I would agree, I’ve felt the Scythe would be ceremonial, building on origin lore. Seems truly fitting. Unrelated news he says.. just walk in here and blow our minds then drop the mic’ eh? Thats great news, really look forward to it! Thanks for swinging by Laurie! I am reading slaughter at giants coffin now and building a scythes force! I looked at this artcile to see the difference of a falx to a scythe after seeing it written down. Is the forgemaster named after a certain someone?